Here we have created a list of important sights and monuments that are, according to us, important to see or visit. 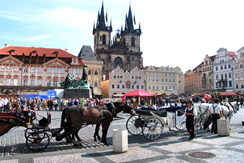 In our opinion, the best way to explore the town with all these sights on the way is with a private hired local guide. A private guide can discuss with you all topics in details and coherently and therefore you will be able to acquire a profound insight and feeling of the town. 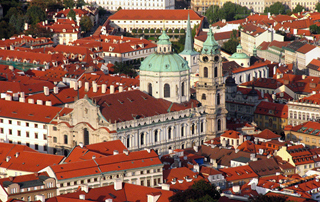 Known as City of a Hundred Spires or Mother of Cities Prague (Praha in Czech) is a real pearl among other cities in Europe. The historical centre consists of four former medieval towns with hundreds of narrow medieval streets and corners waiting to be discovered. We can assure you, whereever your steps take you there you will find something worthy to see. 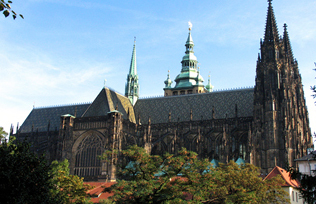 This pearl of gothic architecture is situated in the middle of Prague Castle. It is the biggest and the most important cathedral of our country. 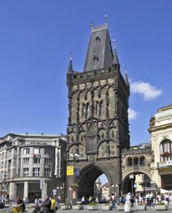 Founded in 14. th century by Charles the IV in a very impressive gothic architecture. 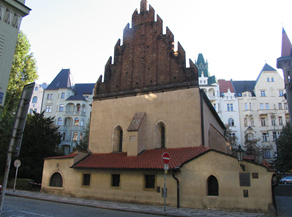 It is also a burial place of St. Venceslas, Czech kings and nobility. 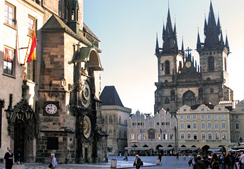 In our tours: The Ultimate tour, the Grand tour, Prague Castle tour. In our tour: Castle tour. We are sure that you will spend most of your time on this square of a medieval layout or in the area of Old Town. Hundreds of people gather every hour in front of the clock to see the performance. 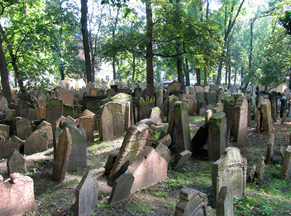 In our tours: The Ultimate tour, the Prague Jewish Quarter tour. 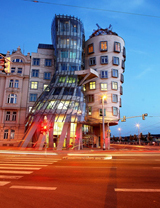 In our tours: The Ultimate tour, the Grand tour, the Architecture tour. 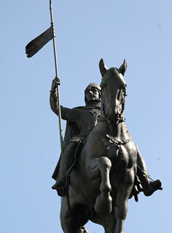 For years used as a starting point of the Royal Route of Czech kings. A simply splendid piece of gothic architecture. This is a place where Czech people come together in times of needs and where everything important starts. 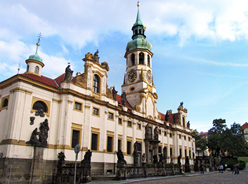 If you would like to know what baroque architecture is all about this is the place to visit. 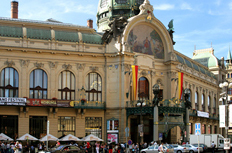 In our tours: The Architecture tour, The Ultimate tour, the Grand tour. In our tours: The Ultimate tour and on request. 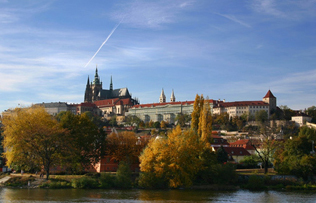 From here you can enjoy a magnificent view all over Prague. John Lennon´s wall is situated nearby. A charming place. 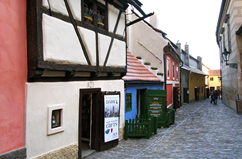 Connected with magical stories welcomes tousands of visitors every year. One of the places that aren´t easy to forget. 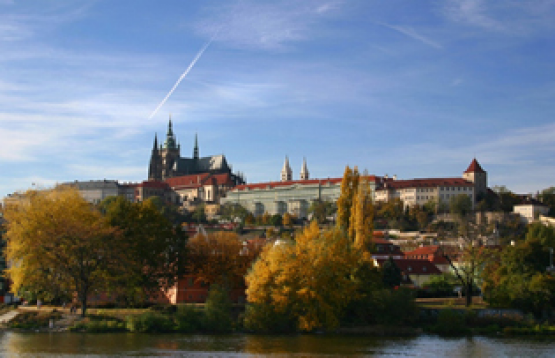 In our tours: The Ultimate tour, the Prague Castle tour. 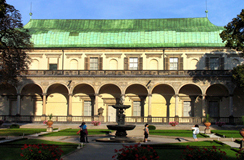 Royal gardens of Prague Castle. In the past used as a summer or pleasure palace to spend hot summers inside. 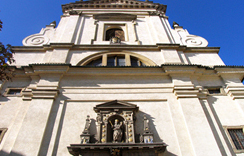 It is said to be the best example of renaissance architecture north of Alps. In our tours: The Prague Castle tour, The Ultimate tour and on request. Visited especially by people from Spanish speaking coutries who come here to pray and to show respect. In our tours: The Architecture tour and on request. Vyšehrad can be translated as „High Castle“. Standing on the right bank of the river a little away from the historical centre is now a reminder of the past. Left and abandoned a long time ago cannot compare with Prague Castle. 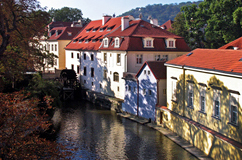 A favourite place for Czech people to have a walk on Sundays. In our tours: on request.